Are you still using the BMI (body mass index) as a way to determine your ideal weight? The BMI is bogus! This formula uses height and weight to determine a person’s ideal weight, but doesn’t take into consideration the muscle-to-fat ratio. There are more accurate ways to calculate your calories and find out how much you should eat for losing or gaining weight. The same goes for muscle building. Although your daily calorie intake isn’t the only factor that influences weight loss or muscle growth, it still plays a key role. Regardless of how clean your diet is, you’ll gain fat if you exceed your calorie requirements. Determine your current body weight. The result represents the number of calories needed for maintaining your current body weight. Most people fall into the first two categories (x11, x12). The next three categories appeal to athletes, bodybuilders, and highly active individuals who work out regularly. Weight loss/ Cutting: To lose fat, cut the number of calories resulted from Step #2 by 10 to 20%, or eat 100 to 500 calories less daily than you normally do (Deficit starts at 100 for those who only have to lose a few pounds, and may safely go up to 500 for obese individuals). The more you cut, the faster the results. Reduce your calorie intake gradually to prevent muscle loss. Maintenance: To stay at your current weight, stick to the number of calories resulted from Step #2. If you work out regularly, this number will allow you to slowly decrease fat and increase muscle mass. This is the best way to calculate calories for people who have a healthy weight, but want lower body fat levels. 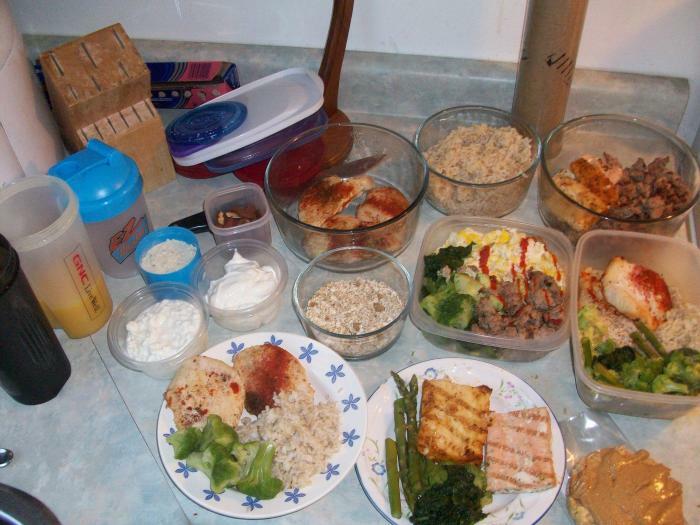 Muscle building/Bulking: Increase your calorie intake (resulted from Step #2) by up to 500 calories a day to build lean muscle. Keep in mind that it’s very difficult to build muscle without gaining fat (this rule doesn’t apply to those who use anabolic steroids or have a very clean diet on long term). To put on muscle, you’ll have to eat more calories than you burn. Unfortunately, you can’t have it all. Once you start cutting, you’ll also lose muscle. The only way to prevent catabolism is to gradually decrease the number of calories consumed daily and exercise at least three or four times a week. Your workout should include both cardio and strength training. This will lead to long term results. To lose weight, eat up to 420 calories less, meaning 1680 calories daily (+/- 100 kcal). Plan your meals and snacks around these numbers. However, this result isn’t 10% accurate because it doesn’t take into account the muscle to fat ratio. You’ll need to use this number as a basis for calculating your daily macros (protein, carbs, and fats). To do this, consider your age, body composition, and fitness level. 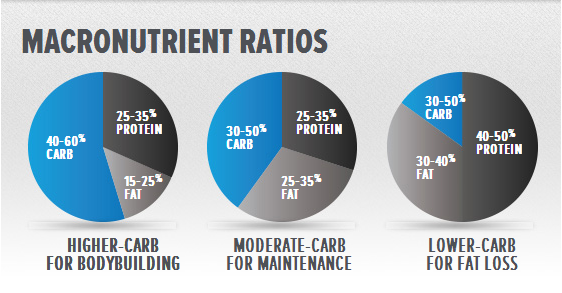 For instance, your daily macros can look like this: 40% protein, 40% carbs, and 20% fats. If you’re on a low carb or ketogenic diet, the amount of carbs will be lower while the amount of fats will go up. *As a nutritionist, I can calculate your macros and create delicious meal plans for every moment of the day. So, if you want to know how to calculate your calories, drop me a line at [email protected]!